Great Pretenders 3D Unicorn Wand come with the power of unicorns! Select from three amazing colour combinations, or get all three to complete the set. 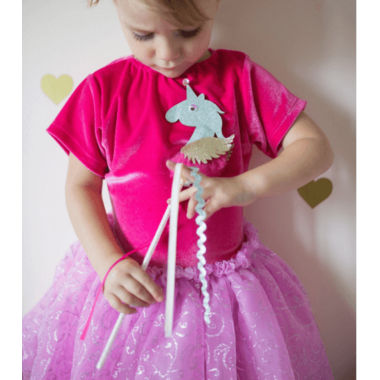 With beautiful sparkle and the perfect matching outfits, these wands are an instant hit! 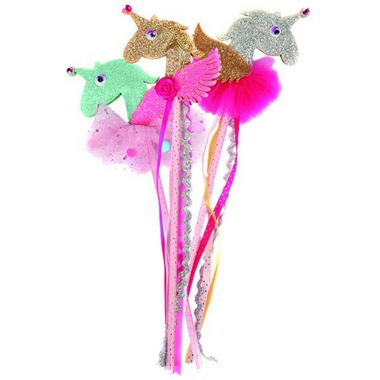 These unicorn wands are accented with fluffy tulle, 3D glitter foam detailing, and gems.